You probably have a little sticker on your car’s windshield that reminds you when you need to change the oil. Why do you have this? It’s probably an easy question to answer: Regular oil changes keep your car running smoothly and save you from having to get expensive repairs. The exact same can be said for regularly seeing your dentist in North Raleigh. Regular check-ups are one of the most basic and essential ways you can keep your teeth healthy year to year. Dr. Philip Lisk, wants you to know exactly why they are so important. If you are consistently brushing and flossing your teeth, you probably think you are taking very good care of them, and in fact, you are! However, your teeth are very complicated structures with many small, hard to reach surfaces. This is especially true when talking about the back teeth. Many of these areas are simply inaccessible with your brush and floss. In addition to that, many people either miss or completely forget to clean along the gum line. This can lead to gum disease, which is actually the leading cause of tooth loss for patients 35 and over. In order to take care of these problem areas, you need to regularly see Dr. Lisk. You’ll be able to get a professional dental cleaning in North Raleigh that will completely eliminate plaque from those hard to reach places. Dr. Lisk’s team has the special tools and training to clean your teeth in ways you simply can’t at home. Not only will this help your teeth stay healthy, but it will keep them beautiful as well. This also gives Dr. Lisk a chance to examine your teeth and gums. This is important for a few reasons. Many dental issues, including tooth decay and gum disease, develop very slowly and can be hard to see in their initial stages. His trained eyes will be able to spot signs of these conditions early. 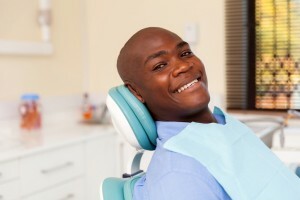 This will allow him to use more conservative treatments that can save you time and discomfort in the dentist’s chair. It’s much easier to prevent dental issues than to treat them. It is recommended that you get check-ups at least twice a year, and this is a small ask to keep your smile shining all year round. Two quick and easy visits are all you need to have a gorgeous smile that you never have to worry about. That is certainly worth 2 hours of your time over the course of 12 months. We want your smile to be healthy for years, and the best way we can assure that is with regular check-ups every 6 months. It’s all you need to do to have a smile you are proud to show off. If you want to know more about how we can help your teeth or want to schedule an appointment, please give us a call today.